Harmattan Tales is a utopian exploration of the cityscape by connecting to Muslim women in Accra, Ghana and discovering life in the city through their lens. Opoku explores these women's personal beliefs and narratives, their acts of veiling and unveiling inherent to their daily rituals, movements in and out of public and private spaces, and the ways in which these movements influence their activities and responsibilities, regardless of age, marital or family status. Opoku's personal narrative is in great contrast to Harmattan Tales. 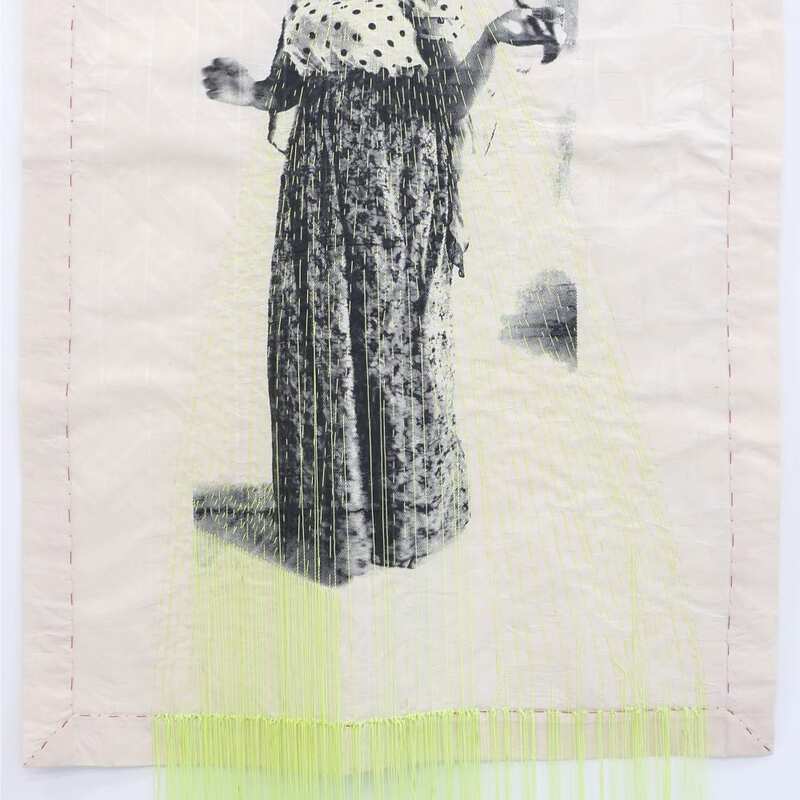 Depicted in Unraveled Thread, which debuted and garnered a prize at the 2017 Armory Show, Opoku evoked her personal story of featuring family photographs, personal correspondence and a decoding of untold stories. Harmattan Tales is indeed the inverse: it is vehicle for the artist's self-exploration via the intimacy of otherness. This body of work reveals an intricate set of social dynamics, which are shrouded in secrecy for those outside of their circles. These are questions of access, comfort, and respect sustained by delicate threads of trust and respect. In these images, Opoku creates an undertone of storytelling by focusing on dress codes. The notion of being completely veiled is an intriguing juxtaposition given the ebbs and flows of modern life, where practicality reigns supreme. The brightly colored garments of Hausa women in Ghana are not just an aesthetic statement, but they also determine the aesthetic feel of the market place where these women shop and work. To achieve these works, Opoku has entered the intimate private spaces of these women's lives, following them with gentle curiosity to capture moments and situations, which sparkle vibrantly. Images of roadside kiosks, mosques, and umbrella businesses become a dream sequence illustrating an almost theatrical stage of little local islands in the red sand, giving the spectator space to let the imagination wonder what stories the scenery is telling. Opoku creates an undertone of storytelling focusing on the politics and aesthetics of Muslim dress, a detail, which is both stunning and disruptive. and amongst one another, there are varying degrees of unveiling, that makes them undeniably visible. The period of the Harmattan is a time for reflection. Opoku's Harmattan Tales reflects on women's lives and experiences as creative spaces of infinite possibility for themselves, their friends, and their families. Harmattan centers women as the foundation and dives deeply, through trust and steadfastness, over time, into their private, rarely unveiled, lives.